The Boxer's official classification in the "Working Group" of dogs is a natural. His keenest sense, that of hearing, makes him an instinctive guard dog, always alert. Although always vigilant, the Boxer is not a nervous breed, and will not bark without cause. He has judgment, and an uncanny sense of distinguishing between friend and intruder. One of the delightful qualities that sets the Boxer apart is the unique expressiveness of his face. The skin furrowing of the forehead, the dark, "soulful" eyes, and at times almost human attempts to "converse," make his replacement by another breed difficult for one who has owned a Boxer. He mimics the mood of his master and can spend hours quietly lying at his feet. Many Boxers have great successes in performance events. However, that same innate intelligence that makes him quick to learn also gives the Boxer a mind of his own. The trainer must be purposeful and patient. The well-trained Boxer is a glorious picture going through his paces in the Obedience ring, or joyously rushing through the Rally or Agility course, such trials usually being held in conjunction with dog shows. You will quickly find that your Boxer has quite a sense of humor, and may invent the most unexpected games in the course of his training and performance. 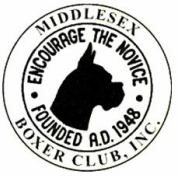 Occasionally, Boxers are successful in Lure Coursing, Tracking, and other performance pursuits. Boxers make wonderful service dogs, therapy dogs to brighten the days of shut-ins, guides for the blind, hearing dogs for the deaf, even seizure alert dogs for those who suffer from epilepsy. They were used as guards and couriers during war time, and perform beautifully as narcotics detectors, police dogs, and in search and rescue operations. The Boxer has an innate desire to help those in need.